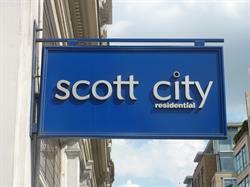 Established in 2002 Scott City Residential are an independent Estate Agency specialising in the CITY of LONDON ( The Square Mile ) with a special focus on the Barbican Estate. Whether you are a buyer, a seller, a landlord or a tenant in central London, we will work hard to make sure your experience with us is a positive one. We aim to make the buying and renting process easier all round, we know our area well and are able to react quickly to any changes in market conditions to the benefit of our clients. In addition to sales and lettings from our well located central CITY office we have a specialist property management department who can look after all your property needs whether based in the UK or overseas. We pride ourselves on offering the highest level of service to vendors, clients, landlords and tenants. We want to make the entire process - whether selling, buying or renting - clear, smooth and rewarding for all parties involved. Our reputation is paramount, and it’s why much of our business comes from recommendations and repeat business from satisfied clients.